Your lovely grandma used it, and so did her grandmother. Now, it is time for you to learn one of the most useful and all-purpose cleaning staples around vinegar. It is more than just a common condiment in the kitchen. From showerheads to soapy heads, copper to microwaves, it is a handy, environmentally-safe alternative to most standard store-bought chemical cleaner — and it is unbelievably economical and easily accessible, too. Take a gander at some of the surprising uses for this cleaning wonder. 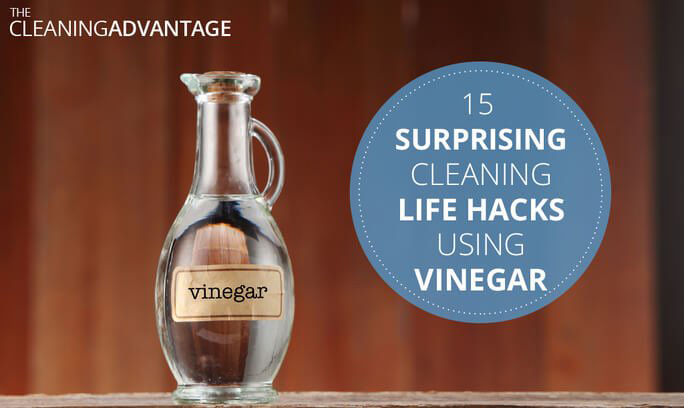 Cleaning windows is a breeze with vinegar. Remove those awful finger stains and grime by simply mixing equal parts of distilled white vinegar and water. Apply it to the windows with the use of a sponge. Wipe clean using a squeegee. To dissolve and remove the minerals and oily build-up, fill the machine’s reservoir with white distilled vinegar. Then, put the coffee maker through a brewing cycle. Next, remove the carafe. After that, remove any residue by putting a full reservoir of water through the machine’s brewing cycle. Make sure to follow manufacturer’s care directions. Do away with expensive chemical store-bought grass and weed killers. If you want to get rid of weeds, just pour full-strength white distilled vinegar onto undesired vegetation. Reapply as needed. Do you want fresh flowers to last longer? 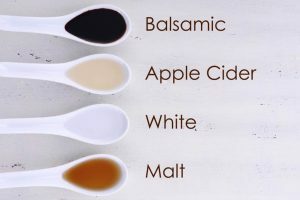 Then, just add two (2) tablespoons of white vinegar and two (2) tablespoons of sugar to the vase for each one (1) quart of water. Trim the flower’s stems. Change the water every few days or when water begins to get murky. For easy, rinse-free, quick cleaning, try mopping using a solution made by mixing ½ cup of white distilled vinegar to every half-gallon of lukewarm water. Make sure to change the water solution as it gets murky. Having food splattering in the microwave oven is quite a hassle to clean. But if you boil a solution of ¼ cup of white distilled vinegar and 1 cup of water in the microwave, it will be a breeze. Just make sure you wait until steam forms on the window before you wipe away the food residue to ensure it does its job. Shampooing your hair is good and all, but after every few washing, residue from using it can build up. Remove shampoo residue build-up by washing your hair with a solution made of one (1) to two (2) tablespoons of vinegar, either plain or apple cider , mixed in one (1) cup of water. Adjust the amount of vinegar to suit your hair type. Use less vinegar for dry hair, or add more for oily hair. Rinsing with plain water afterward is optional. Hair will be silky and shiny. Want your dishes, glasses, and utensils to sparkle? Just add about one (1) ½ to two (2) cups white distilled vinegar to the bottom of the dishwasher. Go about washing on a regular cycle, using the usual amount of detergent. Once done, you should have a cleaner set of plates and utensils. You can now effortlessly remove unwanted tarnish from your treasured metal wares made from Brass, Copper, and Pewter. Mix one (1) teaspoon of salt, ½ cup of white distilled vinegar and just enough flour to make the mixture into a pasty substance, Apply the paste mixture to the metal and leave it to stand for fifteen (15) minutes. Rinse and wash with clean water and polish with soft, dry cloth. Remove bathtub film, and hard water grime by rubbing the bathtub first with white distilled vinegar and then with baking soda, leave it to stand for about five (5) minutes. Lastly, rinse and wash away the grime with clean water. Prevent soap scum and shower grime from building up. Just wipe shower doors with white distilled vinegar using a sponge. No need to rinse, repeat the process every other week. Is your showerhead clogged again because of the mineral building up within it? Use vinegar to solve it! Just put a cup of vinegar in a plastic storage bag. Place the bag over the showerhead so that it sits in the vinegar. Allow it to seep in the showerhead, soak overnight. In the morning, remove the bag and turn on the shower to rinse. Want that old bumper sticker removed and replaced? Just simply soak the bumper sticker with distilled white vinegar. Bumper sticker pieces should peel off easily. A precaution, do test it first on the vehicle’s an inconspicuous area to make sure it does not ruin the car’s paint job. Were you too rowdy last night and spilled wine over your favorite shirt? Apply white distilled vinegar directly using a sponge onto the area until the stain disappears. Keep in mind, in removing wine stains from all-cotton and cotton/polyester as well as permanent press fabrics, treat the stain within 24 hours, or it will permanently stain your clothing. Wash according to directions on care label. Deodorants and antiperspirants are quite useful in keeping foul body odor at bay. Unfortunately, excessive use of it can leave stains on your clothing. To safely remove stains, just rub the underarm areas of white or light-colored clothing with white distilled vinegar. After applying the treatment, wash clothing as usual. If the stain remains after washing, do not machine dry. Re-apply vinegar to the underarm area, and place garment in the sun to bleach.